Are you confident enough that our great English weather will hold out? What would you do if it starts to rain? Where will you put all the people you have invited to your event? Finding answers to these questions is crucial to the success of your event.  Whether you are planning a wedding reception, a birthday party, christening ceremony, or a corporate event, contact Strawberry Marquees in West or East Sussex for marquee hire. Our marquees will not only protect your event from the elements, but also make sure that it is a success in every sense of the word. If you are looking to organise a wedding or a party in the near future, spare some time to look at our marquee hire packages. Hire a package that comes with the furniture and lining of your choice, and gives your event a traditional or contemporary feel, if you like. We specialize in both domestic and corporate events. We are known for our competitive pricing and quality of service. Once you come to us, you will see all your worries of organising an event vanish. We will help you execute your event plans in the best possible way, leaving your guests and even you pleasantly surprised with the quality of marquees and the expertise of our people. All our marquees can be tailored to your exact needs with our bespoke packages, including the traditional pleated ivory lining or a full blackout marquee complete with starlight roofing. Whether your event is on a sun-drenched summer’s day or in the crisp winter our marquees can be used all year round with our thermostatically controlled heating. Your dedicated Event Manager will help you through each step, from colour scheme to how our impact lighting can make your event unforgettable. Marquee hire in West Sussex can be of many kinds and it is important to know the ones that are most aptly suited for your wedding, reception, corporate dinner or any celebration or event for that matter. That is why, at Strawberry Marquees, we take special care to provide you with the best choice when you wish to rent marquees and will work with you every step of the way to create your ideal space. We have helped create many memorable events in 100’s of locations across East Sussex and West Sussex, and want to work with you to help make your event even more memorable. With Strawberry Marquees the style of your wedding or civil ceremony is limited only by your imagination. Find out what we can do to make your day one you will never forget. Whether you are having a garden party, birthday, christening or any kind of celebration - Strawberry Marquees has catered for them all. Let our experienced team give your event the WOW factor. Catering for up to 500, Strawberry Marquees can provide everything your company will need from the marquee to the linen on the table. Call us now to discuss your event. Enter your details below and we'll give you a call back to discuss your requirements.